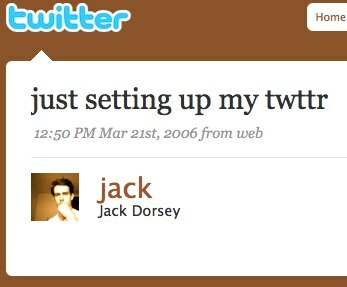 First Twitter ever published on March 21, 2006. The first assignment includes two parts: 1) becoming a Twitter user and 2) becoming a Twitter dev user. If you have already had a Twitter account and tweeted before, you can discover your #FirstTweet by this widget Twitter launched in 2014. It brings back memories. and follow the Step 2 and 3 to make your first connection to Twitter API!